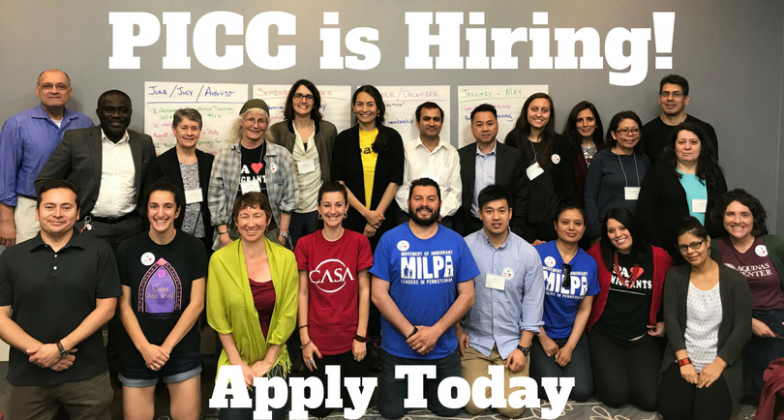 PICC’s youth organizing project aims to strengthen leadership among immigrant communities by helping immigrant and refugee youth become grassroots organizers and leaders of immigrant rights campaigns. Help #ShutDownBerks! The Berks Family Detention Center is one of four immigrant family detention centers in the country. We will bring together 30 youth leaders. 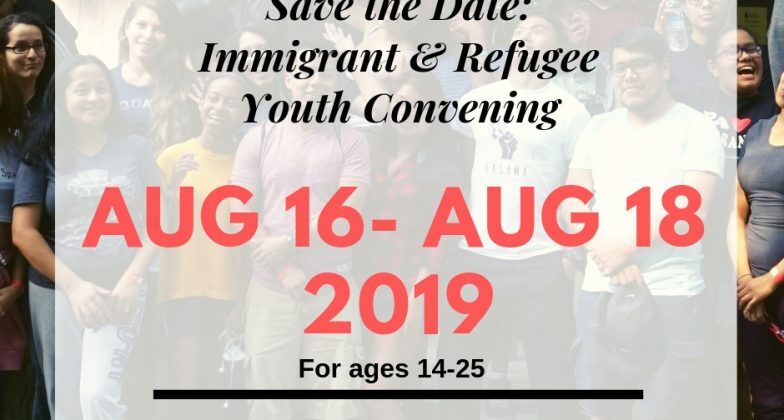 Attendees will develop leadership and organizing skills, share their stories and to build relationships with other youth who share similar experience and goals! Get involved! 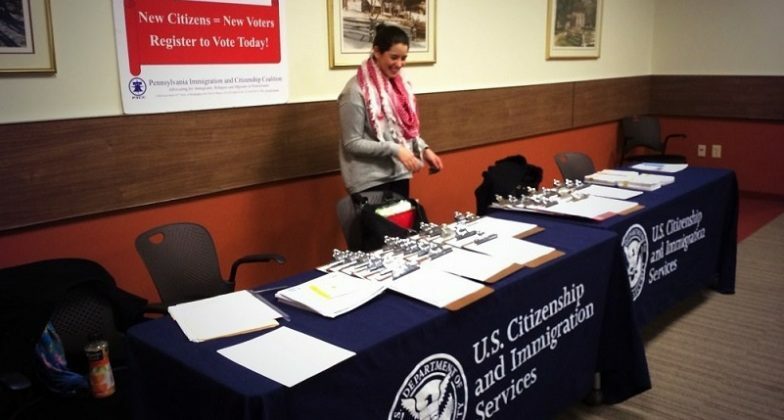 Sign up to help register New Americans to vote at local citizenship ceremonies. 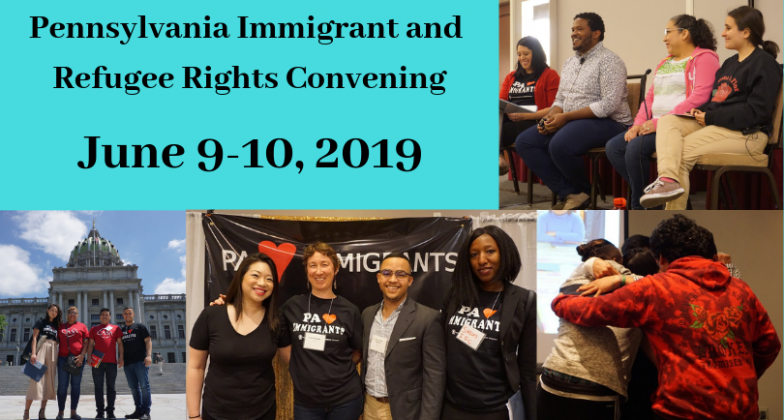 Learn more about the 2019 Immigrant and Refugee Rights Convening and register today! 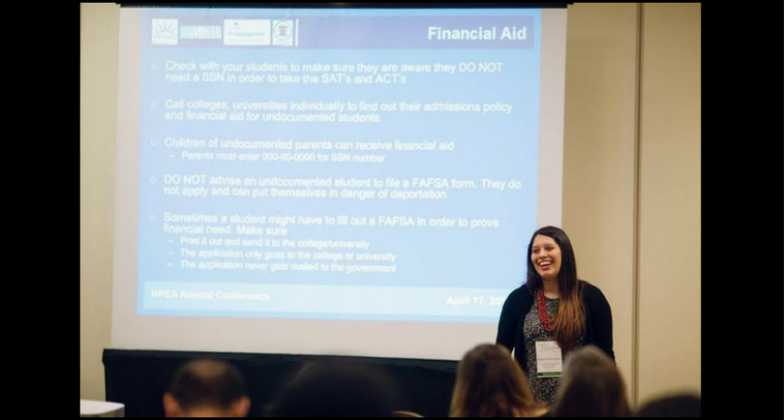 Does your organization want to learn more about immigration policy and how to get involved? Maybe we can help! Invite PICC to come speak at your event or meeting. 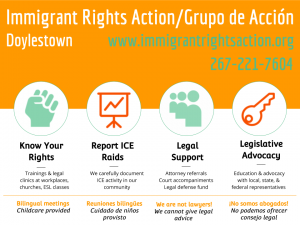 Immigrant Rights Action is a Doylestown-based, 100% volunteer neighborhood collective documenting local ICE activity & offering immediate support to community members threatened with deportation. Since our founding in March 2017 we have made over 50 attorney referrals and been able to help financially in 23 cases, providing over $13,500 in support from our crowd-sourced legal defense fund. In addition to ensuring rapid access to high-quality legal representation, we offer accompaniment to ICE supervision check-ins, legal consultations, and court appearances. We hold monthly, well-attended, bilingual English-Spanish meetings in Doylestown and are proud organizational members of the Pennsylvania Immigration & Citizenship Coalition, which we formally joined in October 2017. Five of our volunteers so far have completed PICC’s Community Navigator Training. 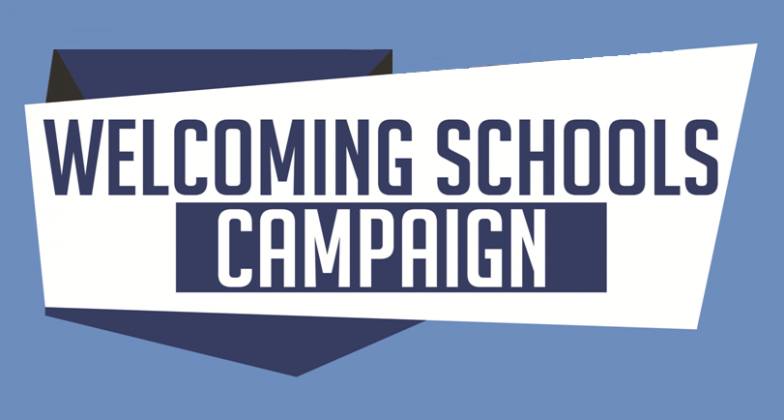 In June 2018 we were awarded a competitive PA is Ready! 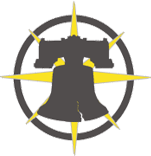 grant to offer a series of Know Your Rights/Deportation Defense workshops and legal immigration clinics throughout Bucks County in conjunction with HIAS-PA and Welcoming the Stranger.